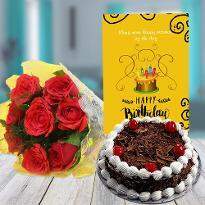 Like a loving smile, a gift as timeless and radiant as a bunch of flowers shared with ones you love the most. Flowers are soul blessing and divine creation of nature. So don’t let this feeling dropped down. 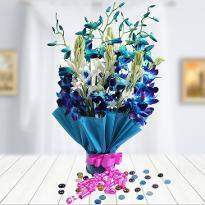 Buy a beautiful bouquet of scintillating flowers that speak your emotions without saying a word. 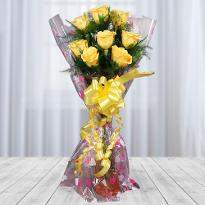 Order this online flower from Winni, to make your dearest one feel blessed to have in you in their lives. We assured you the best delivery, even in critical situations and flexibility to order it from any corner of India or abroad. 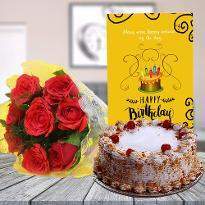 If your special one lives in Ghaziabad then you can easily order and send flowers to Ghaziabad from here. Flowers are the most soothing thing which provides solace happiness delight to the people who know the essence of flowers. The flowers fragrance and the scenic beauty refreshes up the aroma and synergizes the moment for the new mindset of the people of Ghaziabad. 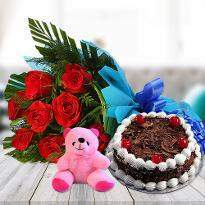 Online flower delivery in Ghaziabad is not new concept but when it is delivered with eagerness and enthusiasm. 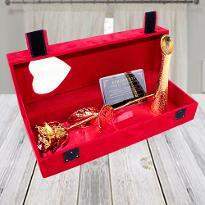 The colleges and educational institute has the attraction for flowers and popular among the newly loving couples. When words fail in expressing emotions, then flowers step in. Flowers assist in expressing emotions which are hidden in the heart. 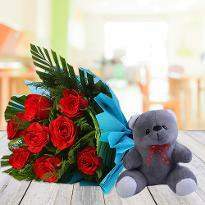 If you love someone, but you are not able to express your love then take the help of flowers. Different color of flowers depicts different meanings. 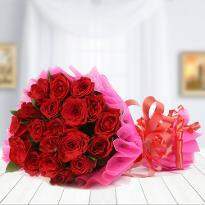 If you want to convey love, then choose red roses. 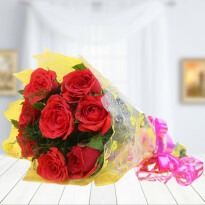 A bouquet of red roses is enough to express your emotions in front of your special one. 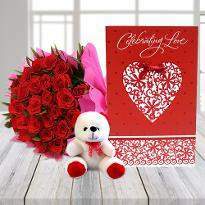 You can order flowers online from Winni and delight your sweetheart. 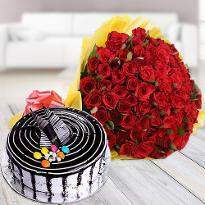 You can even surprise your special one on Valentine's day by opting our midnight Valentine flowers delivery in Ghaziabad. 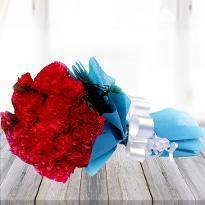 Flower Bouquet: A flower bouquet is created by taking two or more flowers and wrapping in beautiful papers. Mixed flower varieties are also clubbed together to form a stunning flower bouquet. 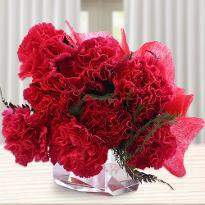 For instance, a bouquet of roses and carnations. 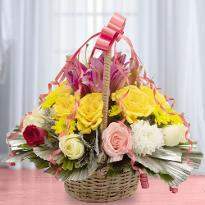 At Winni, you will find a vast range of flower bouquets. 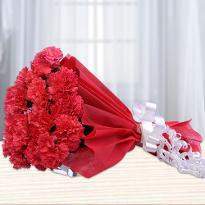 You can also buy Valentine flower bouquet to surprise your loved ones on Valentine's day. 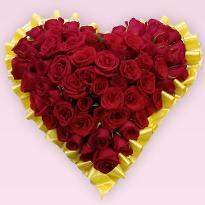 Heart-shape Flower Arrangement: To convey emotions in a romantic style. Heart-shape flowers are the best choice. 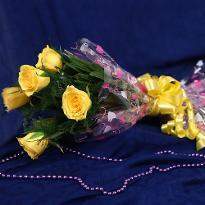 Flowers are arranged in heart-shape to depict the most beautiful part of any relationship. 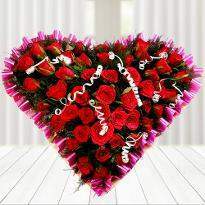 You can gift a heart-shape bouquet to your sweetheart on her birthday or Valentine day. 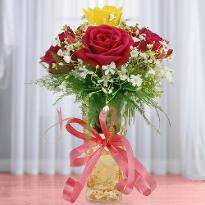 Tier-Arrangements: The fragrance of flowers can uplift anyone. 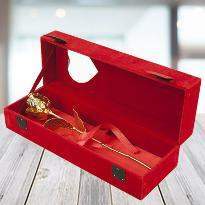 It's the wonderful gift which you can give to your near and dear ones on their special day. Winni provides 2-tier and 3- tier flower arrangements. 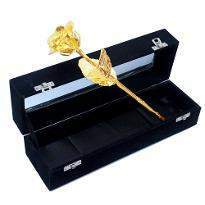 These exotic flower arrangements make a perfect gift for Valentine day. So, you can win the heart of your partner by presenting 2 tier or 3 tier flower arrangements. 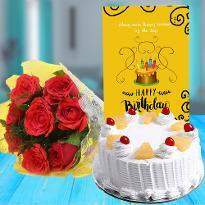 Winni offers cake delivery in Ghaziabad at a large number of locations across Ghaziabad. Covering almost all the pin codes of urban Ghaziabad. You see a list of all delivery areas served by us. We serve many more locations like Raj Nagar Extension, Crossing Republic, Lal Kuan, ,Abhay ,Khand, Dasna,Shipra Suncity, Vaibhav Khand, Ahinsa Khand 1, Ahinsa Khand 2, Chander Nagar, Chaudhary More, Dabur Chowk, DLF Ankur Vihar, Govindpuram, Gyan Khand, Hapur, Indraprastha Yojna,Kinauni Village, Maharaja Agarsain chowk, Masuri, Modinagar, Muradnagar, Neelmani Colony, Nehru Nagar 3, Niti Khand, Nyay Khand, Pasaunda, Pilkhuwa, Pratap Vihar, Raj Bagh, Rajendra Nagar, Ramprastha Greens, Sector 1 Vaishali,Sector 11 Vasundhara, Sector 14 Vaishali, Sector 16 Vasundhara, Sector 18 Vasundhara,Sector 2 Vaishali, Sector 2B Vasundhara, Sector 3 Vaishali, Sector 3 Vasundhara, Sector 4 Vaishali, Sector 4 Vasundhara, Sector 5 Vaishali, Sector 5 Vasundhara, Sector 6 Vasundhara, Sector 9 Vaishali, Sector 9 Vasundhara, hakti Khand, Shastri Nagar, Tronica City, Kamla Nehru Nagar, Nehru Nagar 2, Rasulpur Sikroda, Sector 10 Vasundhara, Sector 14 Vasundhara, Sector 15 Vasundhara.